Don't judge a book by its cover and don't judge the Razor Crazy Cart XL by its looks either. You can however judge it by its video in action and it sure looks like a lot of fun. 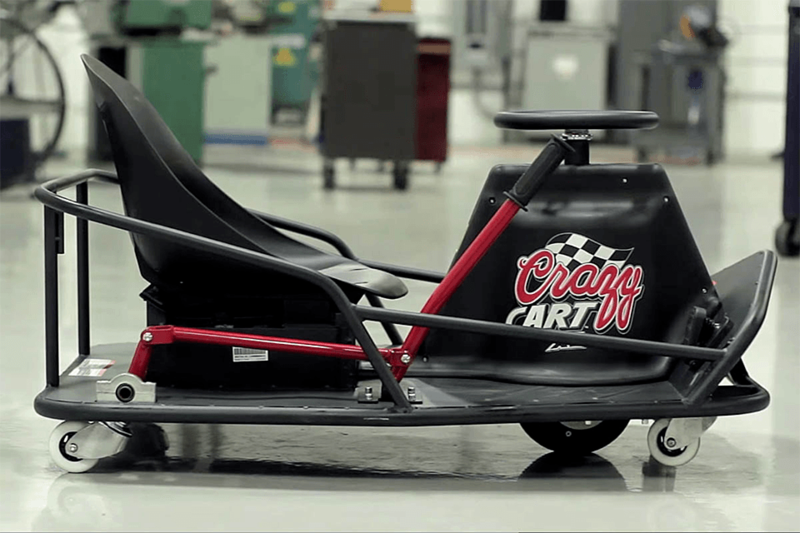 If you thought bumper cars were fun, you should really try the Crazy Cart. The maneuvrability of this thing is incredible; it can drift and move in all sorts of crazy angles as smoothly as it can go forward. There's also a kids version for $299.